"THROUGH THE CANVAS... 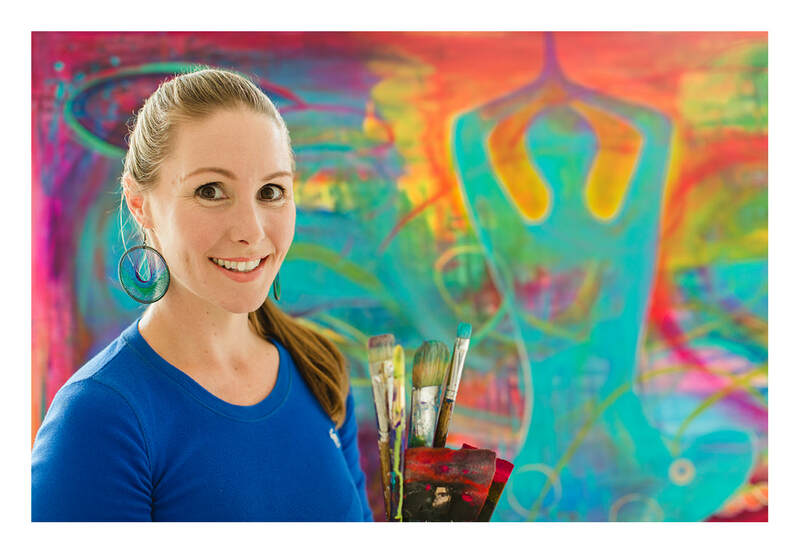 YOUR TRUEST SELF EMERGES"
As an experienced creativity coach and artist, I'll guide you through a transformative process of painting, a journey of self discovery where you learn to trust your intuition and paint from your soul. As your inner creativity emerges you will find the freedom within to let go of expectations and explore paint with no judgement. You will be empowered with new painting techniques and perspectives on creativity as I offer you prompts and exercises to loosen up, connect to your intuition, tame your inner critic, become unstuck and get back into the flow, as well as find your own painting style. All you need is an open mind as you already have an artist within, waiting to be set free. The purpose of my playful workshops is to ignite your creativity and for you to express your true creative self. As your inner creativity emerges through visualisation, guided meditation, and yogic breath work, the paint process flows through you and onto your canvas. You will find the freedom within to let go of expectations and explore paint with no judgement. You will connect with the moment regaining focus and awareness, allowing your painting to flourish. Painting techniques and perspectives on creativity will empower as I offer you prompts and exercises to loosen up, connect with your intuition, tame your inner critic, become unstuck and get back into flow, as well as find your own painting style. Affirmations offered empower your creativity and open thought channels. The painting techniques I demonstrate, and learning about colour and contrast bring your painting to life. These workshops are for everyone who would like to ignite their creativity. All you need is an open mind as you already have an artist within, waiting to be set free. Experience a deep soul renewal that could change the way you live daily life and approach painting forever. ​Hollie is considered a creative Muse for guiding others to tap into creativity as soul expression. Through the painting process, visualisations, guided meditations and yogic breath work she guides you to come home to your inner wisdom, and the true colours of your soul. Hollie trained in psychology, human development and education reform while studying in Bachelor of Education (teaching) and Bachelor of Art and Design. She has worked as an art specialist teacher for 20 years parallel to practising as a professional artist. For two decades Hollie has found bliss practising Yoga and receives great inspiration through yogic breath work, asanas and meditation, she translates this into her art practise and teaching. Hollie is passionate about sharing the joy of creativity - a medium to connect and express our higher self to achieve happiness.